There’s no doubt that regular exercise is vital for optimum health and wellbeing, but the thought of going to a gym and sweating it out with the ‘body beautiful brigade’ or ‘Muscle-Mikes’ is not everyone’s cup of tea, as we’ve written before. That’s why you need to know about Fitness Blastoff, a unique fitness dance party experience. We caught up with the founder, Selena Brown-Donkor, who told us why you need to book your next class, ASAP! What is Fitness Blastoff all about? 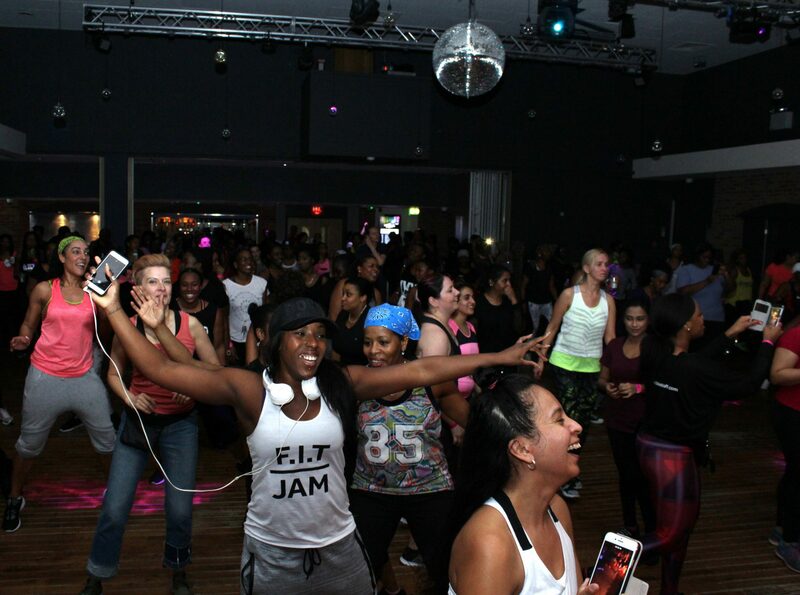 The Fitness Blastoff is an urban fitness dance party experience. It’s all about getting active in a fun, lively and cultural-focused environment. When I qualified as a Group Exercise Instructor back in 2012, I wanted to make fitness fun and to work-out to the music I enjoyed and that I was familiar with. I felt that there was a lack of fun and urban fitness classes at the time. I also wanted to offer sessions to people like myself who love to dance, without the pressure of having to be a professional dancer or learn complex choreography. What’s your background in exercise/dance? I am a qualified Group Exercise Instructor. I’ve always been about staying fit and active through regular gym visits and dance fitness classes. Although I’m not a professional dancer, I love to dance and attend dance fitness classes as well as deliver my own. How have you incorporated African and Caribbean culture in the event? Attendees learn about the culture through experiencing the different dance moves, rhythms and dance-steps from Africa and the Caribbean, learn about the different genres of music and the various dance styles that come from those genres. What can guests expect on a typical Fitness Blastoff session? To dance, workout and party to upbeat urban music in a lively party club-like setting. They will take part in fun and simple dance fitness sessions led by qualified and entertaining presenters in a dynamic event space with a live DJ thrown into the mix. At a session, guests can expect to participate in a range of dance fitness sessions back to back from Dancehall and Afrobeats to Soca and Hip-Hop, follow simple dance fitness sessions and be in with the chance of winning a range of sponsored giveaways. Do you have to be a fitness buff to attend? Nope, not at all. We have attendees who come along simply to have fun, dance and to try a different experience. Tell us about the other dance fitness presenters? Faye Edwards is a fitness presenter delivering a range of fitness and dance sessions at a number of fitness events and conventions in both the UK and internationally. 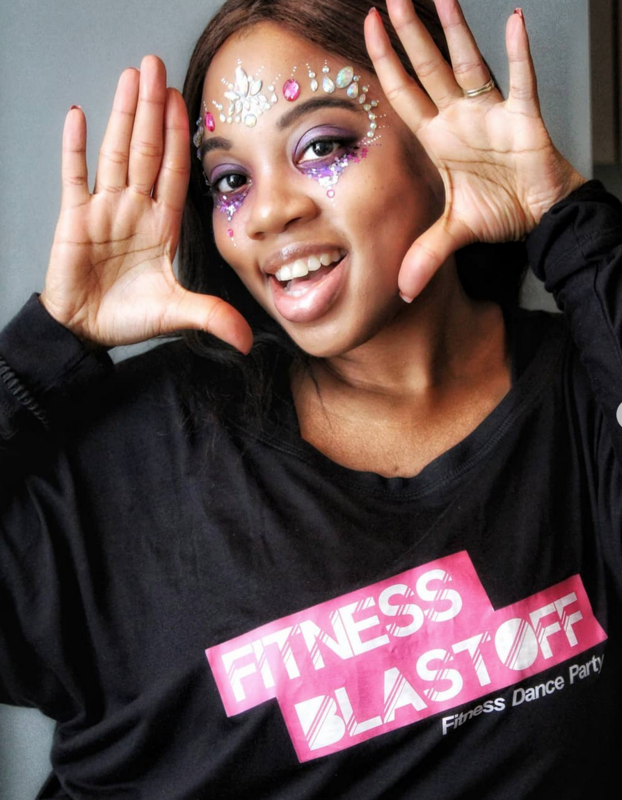 She is also a Group Exercise Manager at Third Space London and the creator of F.I.T Jam – a fun high-energy dance class to a range of urban music. She will deliver her F.I.T JAM session to UK Garage. Kwaku Agyemang is a Fitness Trainer, family man, qualified Occupational Therapist and Founder of African-inspired workout, AzontoFitness, will bring back the lively Afrobeat vibes to the Fitness Blastoff. SupaFresh Dance Movement was founded by Amelia Aramu, a Professional Dancer and Choreographer from Italy! She created SupaFresh Dance Movement for people who wanted to learn street and Hip-Hop dance in a relaxed and friendly environment. SupaFresh Dance Movement will bring 00s Hip-hop vibes at the event. Caramel Jones is a multifaceted creative, working as a Professional Dancer and a Creative Director. This emerging female entrepreneur has been marching STRONG in the dance industry for more than 15 years both nationally and internationally. She will deliver a fun, friendly and simple House dance session. Marta Costa is a Fitness Trainer, a Dance Fitness Instructor, a Wife and Mother. She is very passionate about health and fitness and stays fit and active through regular gym sessions and lots of dancing! This bundle of energy will bring a lively and vibrant Reggaeton session. Bami Kuteyi is a Personal Trainer, Entrepreneur, Motivational Speaker and the Founder of Bam Bam Boogie Dance Fitness will bring nothing but fearless energy and good vibes through her Twerk Fitness session to Trap music. Nafura is a Dance and Fitness Instructor, a Personal Trainer with a flair for carnival arts and costume design. She is also the founder of Wuk Up Academy and will deliver a high-energy Soca dance fitness session. Fresh Az Ice are a family of dancehall dancers who are all about spreading their Jamaican culture and lifestyle through dance and having fun. They perform at a number of events across the UK and deliver their own weekly dancehall class. They will deliver a popular dancehall steps and styles. So, what are you waiting for? The next Fitness Blastoff is on 6 October 2018. Visit the Fitness Blastoff website or follow them on social media, @fitnessblastoff for more information.